Pier Caps or Pillar Caps complete, protect and accentuate the look of a pillar or column. Banas Stones® has shapes that provide pleasing architectural finish and effective protection for your pillars and columns. We also offer custom made caps and other products with your design. Guarantees the highest standards in every aspect of cutting, finishing, Standardization, packing, transportation & Delivery, and the company is famous around the world for the total quality of every product and the service offered. 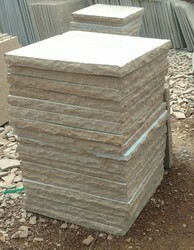 We make architectural shapes like Pier Caps, Copings, Corbels, Quoins, L Shapes, Window Cills, Lintels, Headstone, Key stone, Gable Vent etc from Sandstone in natural and honed surfaces as per requirement. Tailor made sizes, shapes as per the project can be made on order. The perfect enhancement for eye-catching monumental applications. The pier and pier cap were provided to transfer the load of the superstructure to the foundation. Special moulds were fabricated to case the pier & pier cap monolithically, which reduced the time cycle by up to 4 days. 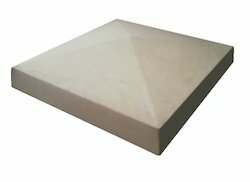 Our fine pier caps can be crafted from weather-resistant GFRC, versatile architectural fiberglass, and other great materials.